Friday night Yuki’s mom went to a concert with a friend, so it was up to me to decide where we went for dinner with her dad. In my quest to eat at every Iron Chef’s restaurants I was able to convince him that we should head out to one of Chen Kenichi’s joints. It wasn’t a hard sell. So, the three of us hopped on the train to Roppongi where Chen has one of his four places. There were a handful of pre fix options, but none of them really had what we wanted, so we ordered a bunch of dishes in typical Chinese family-style dining. First up was a trio of cold appetizers. On the top were Scallops cooked with chili peppers. Not too spicy, just a nice, slow, gentle burn on the back of the throat. Bottom right was shredded chicken with a sweet miso sauce. Bottom left jellyfish in a light soy. All three were very complimentary of each other and made for a great start to the meal. 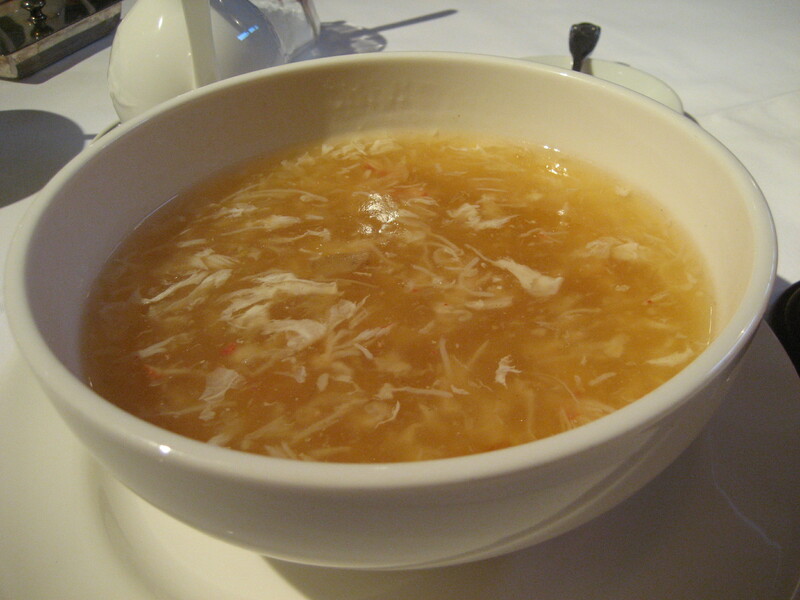 Next up was Shark Fin Soup. Not the most politically correct dish, but hey, a little shark fin never hurt anything. A lot does, but a little doesn’t. The broth was a thick soy flavor and it had thin slices of pork in it alongside the shark fin. 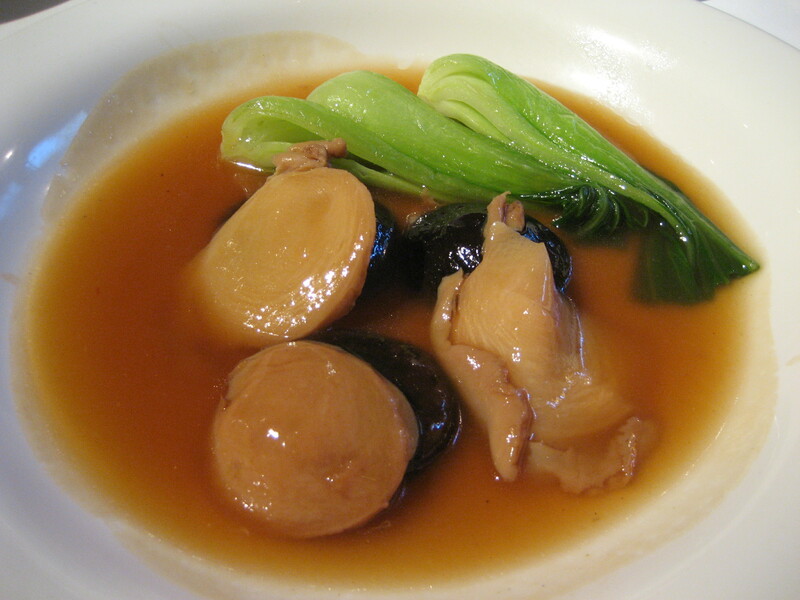 Then came Abalone, one of the sea’s finest of all creatures! Served with shiitake and bamboo shoots it was truly delicious. Judging by Uichiro’s (Yuki’s dad) reaction when he first bit into it, I’d say it was his favorite part of the meal, next to the beer. After that we had mixed seafood served on rice cakes. 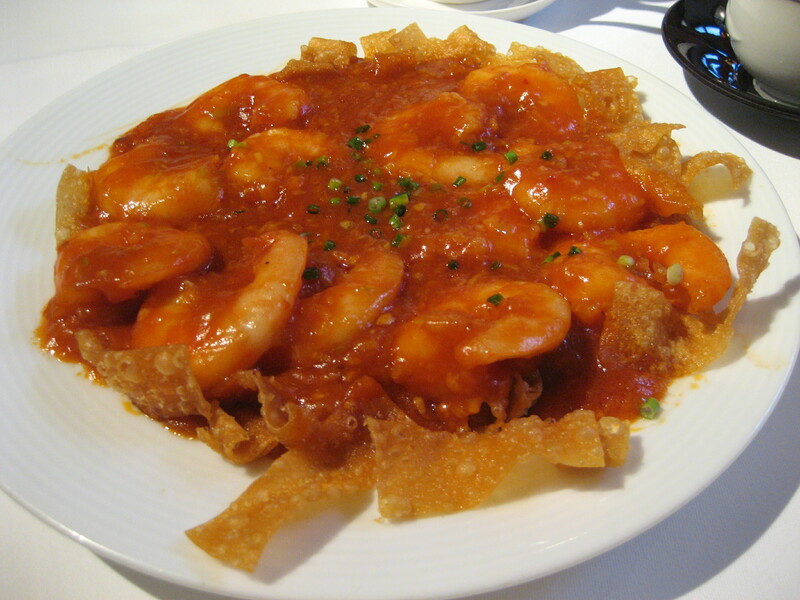 The restaurant manager poured the hot seafood on the rice cakes making it sizzle, much like the classic sizzling rice soup commonly found in American Chinatown restaurants. 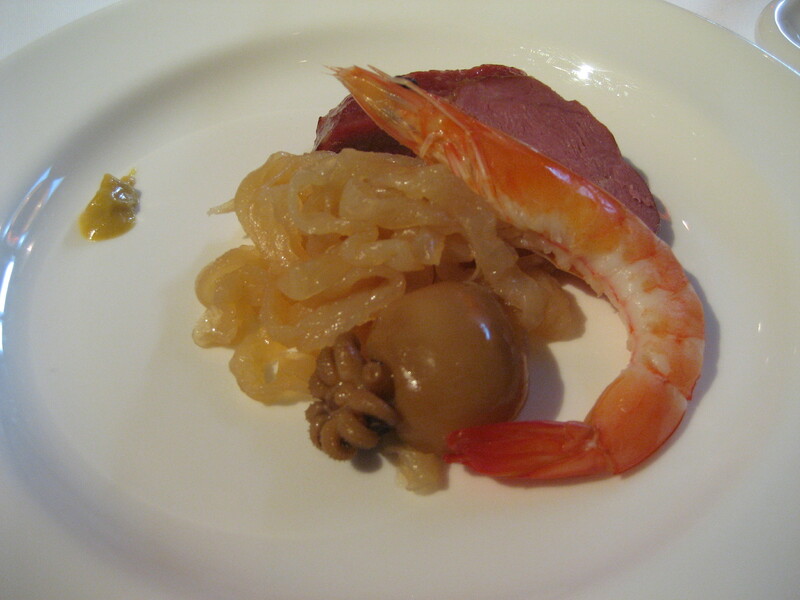 I need make a correction, I think Uichiro liked this dish more than the abalone. Hard to argue, the shrimp, scallops, and squid were cooked to perfection with all of the natural sweetness brought out. 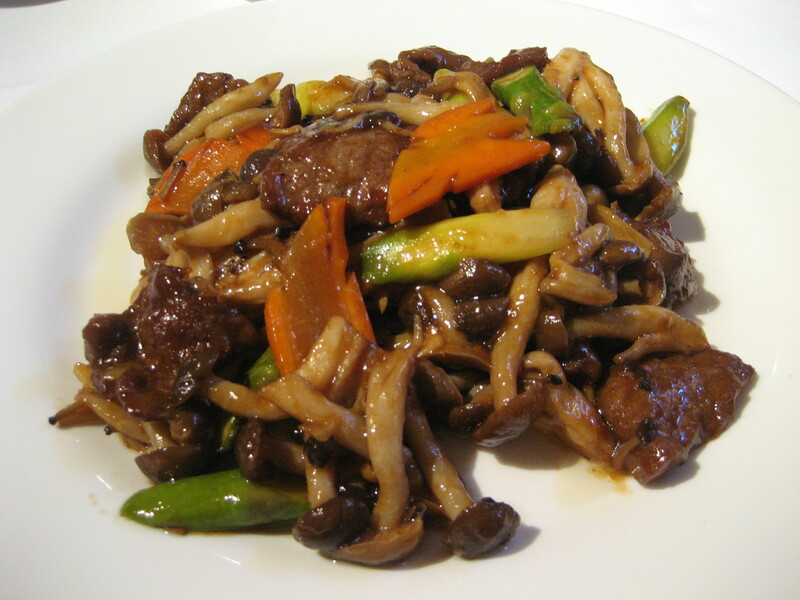 Next was probably my favorite dish of the meal, beef with mushrooms and lilies in a thick ginger soy sauce. The beef was so tender it almost melted in my mouth. The mushrooms and lilies were nice counterpoints to the salty soy. The only thing missing was white rice to balance a little more of the salt. This was definitely more of what Americans are used to than Japanese. Give me this dish and a cold beer and I’m a happy man! Here we go, the dish that brought me to Chen’s restaurant and the one that will make my brothers very envious, his famous mapotofu! There were two choices on the menu, Kenichi’s and Kenmei’s. 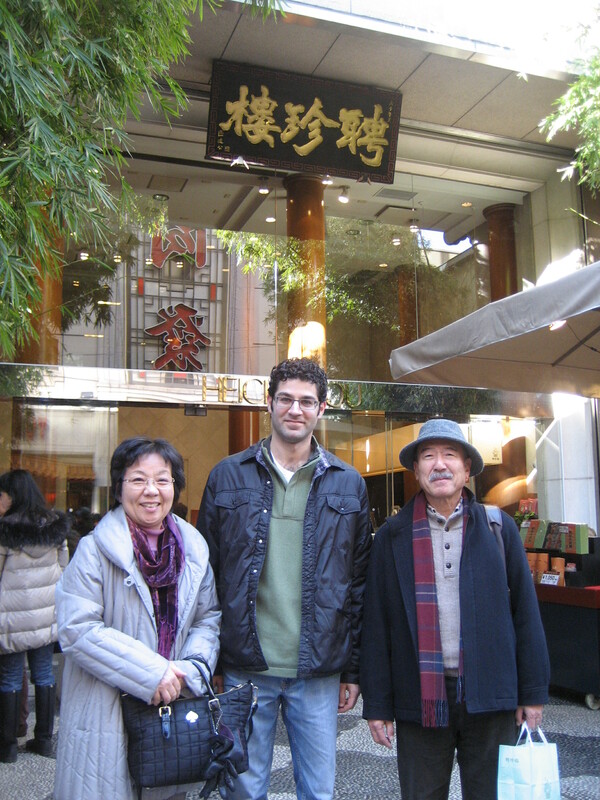 Kenmei was Kenichi’s father, the one who brought true Szechuan cooking to Japan. 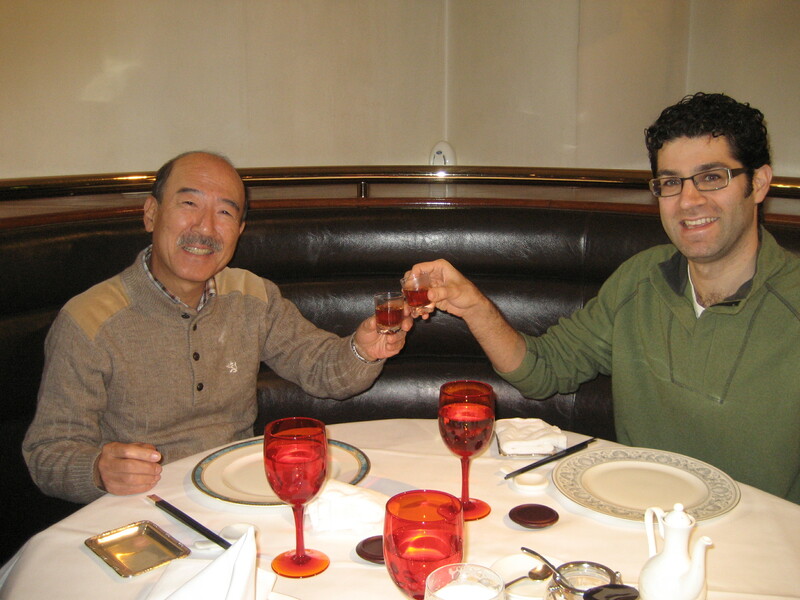 It was a tough choice, but we opted for Kenichi’s since it was his restaurant and not his father’s. It wasn’t quite as hot as I expected, but it was definitely a hot and spicy dish! Packed with Szechuan peppercorns it gives an initial citrusy spice followed by a mouth-numbing burn. Yuki and I added some extra peppercorns to get the full experience, while Uichiro only ate a few pieces of tofu. I think it’s a little spicy for him. It was a little oily as it was douced in chili oil, but that’s what makes it so delicious. The funny thing is that in the middle of the night Tokyo experienced what it thinks was a small earthquake. It wasn’t an earthquake at all though, it was the effects of my trying to digest Chen’s mapotofu! I’m still not quite sure exactly what that dish did to my intestines, but it made a city of 16 million rumble a little. And somehow my chest got a little harrier. We followed the mapotofu with a mild pork and egg noodle dish. It had shiitake, green onions, chinese cabbage, sprouts, and bamboo shoots. It took a few bites to get the burn out of our mouths, but once it was gone this dish’s wonderful flavor stood out. It’s just too bad I couldn’t finish it all because we ordered one too many dishes I think. Oh well, what can you do? We thought we were finished when the manager brought us some complimentary dessert, Annin Tofu. 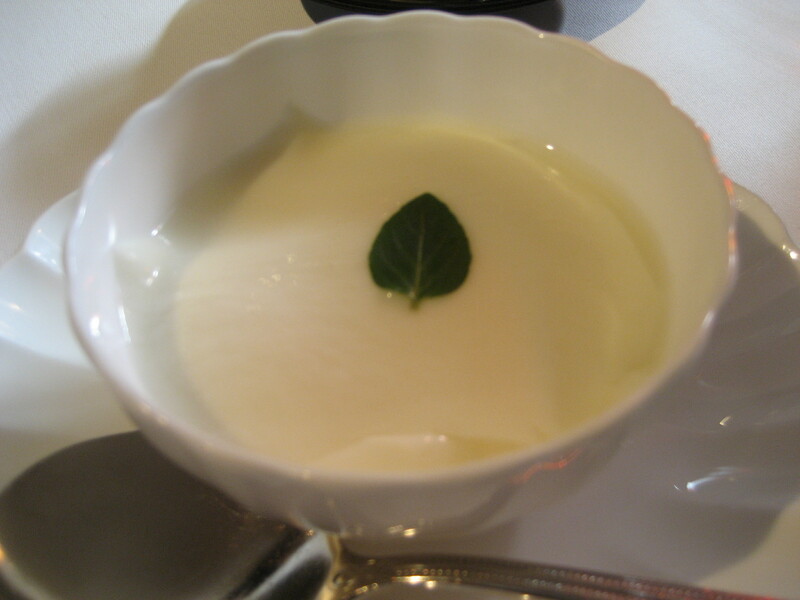 Annin Tofu is a popular Chinese dessert. It’s basically just almond jelly. Very smooth, light, and creamy. It’s the perfect way to finish off a meal. All in all, I have to say that I was a little dissapointed. After watching countless episodes of Chen creating some of the most amazing looking dishes anyone could ever think up, this meal was a very straight forward Chinese meal. 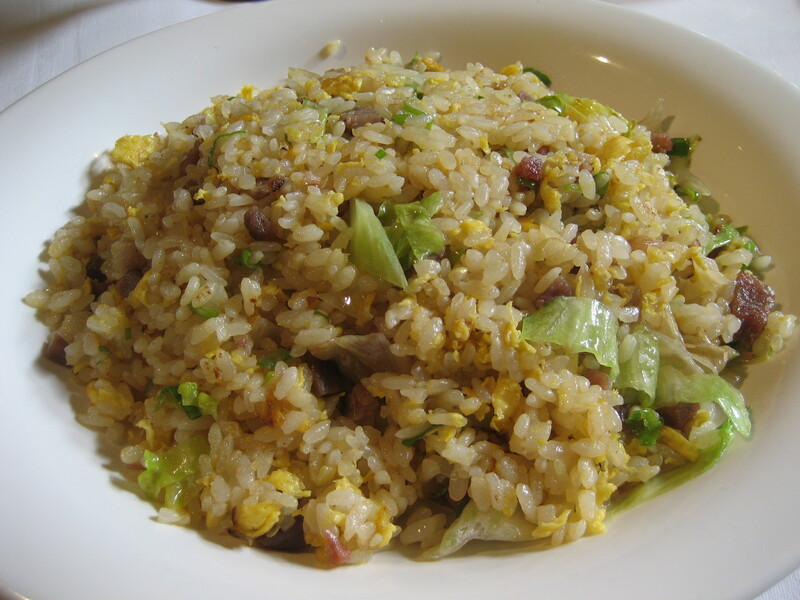 Every dish was a classic that you can get at just about any Chinese restaurant. Granted, everything was perfectly balanced, but nothing was off the wall. I was kind of hoping for some Chen originals. This restaurant wasn’t the right format for him to create Iron Chef dishes. I have no regrets, but I wasn’t blown away like I was at other Iron Chef restaurants. I have now been to three Iron Chef restaurants (4 if you count Bobby Flay, but I don’t consider him an Iron Chef and I never wanted to go to his place). I have done Sakai, Michiba, and now Chen. Next up….Kobe Masahiko.